Central Jing’an is a primary business and entertainment district. The area runs from the Yan’an highway in the south up to Changping Lu in the north and stretches to Zhengning Lu in the west and to the elevated NS Chengdu Lu highway in the east. This downtown district includes dense residential areas, high-end business and shopping centres, several bar streets and access to the city’s major Metro and bus lines. In short, this neighbourhood is extremely convenient, yet extremely busy and crowded. Central Jing’an has fewer residential options than other areas and neighbourhoods tend to maintain a hectic pace – even late into the evening. Most expats live in modern high-rise complexes with doormen. These new, multi-room apartments begin at about 12,000RMB per month. The remainder of central Jing’an is home to older Chinese residential neighbourhoods which increase in density as you move north toward Suzhou creek. Accommodation is cheaper than in the complexes mentioned above and foreigner-friendly, with 24-hour security and convenient access to Western supermarkets. Colonial buildings from the former British Concession are found in the western half of the area. ParkwayHealth has a medical and dental facility in the Shanghai Centre on 1376 Nanjing Lu. A quick walk over Yan’an Lu to the former French Concession area brings central Jing’an residents to Huashan Hospital on 2 Wulumuqi Zhong Lu, which has a 24-hour foreign clinic on the 19th floor. The Sino-American OB-GYN clinic is on the 14th floor of Huashan Hospital. 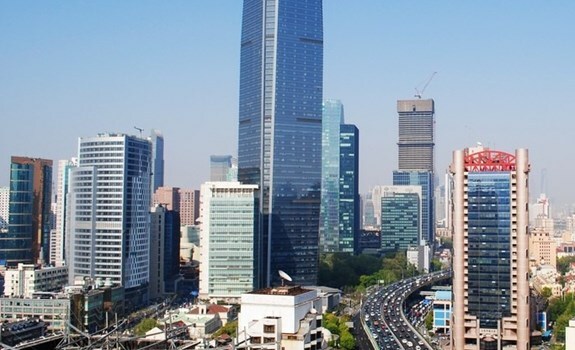 Residents praise Jing’an for its convenient access to public transportation, including Metro line 2, buses and abundant taxis, and close proximity to the former French Concession, the Bund and Pudong driving tunnels. Jing’an is popular among young expats who enjoy a busy nightlife scene in Shanghai and professionals who value convenience.